I received a call from a Chief Information Officer for an accounting firm a few days ago. He had come across Kays Harbor Technologies while he was searching for ways to improve his firm’s ability to meet client needs. When I asked him what he saw the problem to be, his response was one I’d heard in numerous forms from professionals in multiple industries. 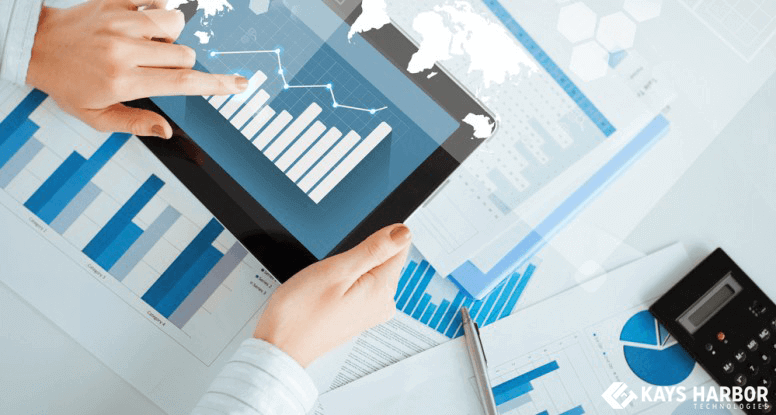 Having researched the accounting industry recently for opportunities, I already knew my caller was facing what many other firms in the industry faced – the slow adoption of technological solutions in Social-Mobile-Analytic-Cloud (SMAC) technologies that could push their firm’s performance to the next level. Only 37% of firms were actively using social media as a way to draw in clients and communicate with current clients. Silence at the other end of the line, but it didn’t surprise me. According to a 2014 study I read from Wolters Kluwer, CCH, only 37% of firms were actively using social media as a way to draw in clients and communicate with current clients. He claimed the firm had a plan for implementing changes in their mobile strategy, but it was still a year out. With 54% of firms leveraging mobile technologies, his firm was behind the curve and could be leaving their clients exposed, as audit standards have changed with the widespread business applications of mobile technology. With only 44% of firms effectively leveraging cloud technology to handle the analytic aspect of the audit process, it didn’t surprise me that his firm had budgeted for related projects but had not actually implemented solutions. “What you have to understand is while industry adoption of these SMAC technologies might be low, it’s the leaders in the industry who are adopting them and seeing the most return on investment.” And to show him how much we could help him, I ran through the numbers from the Wolters Kluwer, CCH study. 92% of pioneer companies leveraged social media successfully, 93% have implemented a solid and effective cloud computing solution, and 89% have mobile strategies in play. Early adopters and firms it considered “pioneers” – those firms willing to immediately launch and experiment with new technological approaches – were in turn 7%-14% more profitable year over year than the industry overall. Early adopters and Pioneers also saw an increase in company value of 6%-7% over the industry average over a five year span. And where do these firms fall when it comes to leveraging SMAC technology? According to the Wolters Kluwer, CCH study, 92% of pioneer companies leveraged social media successfully, 93% have implemented a solid and effective cloud computing solution, and 89% have mobile strategies in play. I assured him we could and set up a consultation meeting for next week so I could interact with the partners of the firm to discuss their needs. Are you ready for your accounting firm to be a Pioneer? Contact Kays Harbor today and we can develop custom solutions that fit your firm’s needs. SMAC, with its key components namely, social media, mobile technologies, analytics and cloud computing, is a globally renowned concept. It is on the path to becoming a big rage and is expected to be fully evolved by 2020.The article here has undoubtedly, very aptly brought into limelight the key features as well as the essential benefits of the incredible SMAC Stack technology. Connoting its future application across varied business sectors, it surely seems to be a promising innovation in the IT world. Holding a perspective of an entrepreneur, one is certain on the account of soon mastering the technique of efficiently employing SMAC Stack to the core business functioning & networking. The evidently bright future prospects of the SMAC stack puts forth a compelling need to gain expertise in the arena so as to attain overall progress and success of a business enterprise.